February 27, 2007 Luxury Home Prices Declining In California...With Some Exceptions! January 02, 2007 United Kingdom's Countertrade Deal With Saudi Arabia Is Astounding! The annual revenues of companies that started or got a boost from venture capital over the past 35 years totaled $2.1 trillion, according to the Venture Capital Association. These companies employ 10 million people, 9% of the private-sector workforce. A site that enables people to borrow from one another, www.neighborrow.com, has an additional feature...one where the user can barter stuff and earn �neighborrow-bucks� currency. The latest celebrities interested in this romantic business are Angelina Jolie and Brad Pitt, who are looking at a winery in Southern France. Other famous people who have done so are Sofia Coppola, Sting, Olivia Newton John, Ernie Els, Lleyton Hewitt, Bob Dylan, Elvis Presley, and Madonna. Alibaba.com�s recent IPO was a huge success, it was heralded as the biggest Initial Public Offering since Google. What is Alibaba all about? The company links small to mid-size manufacturers with overseas buyers, making it a popular place with eBay sellers who buy wholesale goods direct from manufacturers. The $1.5 billion raised in the IPO will be used to expand into Taiwan, Hong Kong, India, and Japan. Interested In Having Your Own Interactive TV Station? For more information go to www.wi-fitv.com. For more information see www.product-coach.com. Powering the auction industry is www.AuctionServices.com. It hosts 400 individual auctioneer domains, listing auctions by state and by category, in an auction industry forum. Additionally, they have articles on auctions to further your education in this growing industry. The hospitality industry is a $100 billion a-year industry, worldwide. The International School Of Hospitality (TISOH) trains individuals for careers in hospitality and related industries. Its scope of training covers hotels, restaurants or clubs, cruise ships, tourist bureaus, convention centers or any of dozens of other operations. 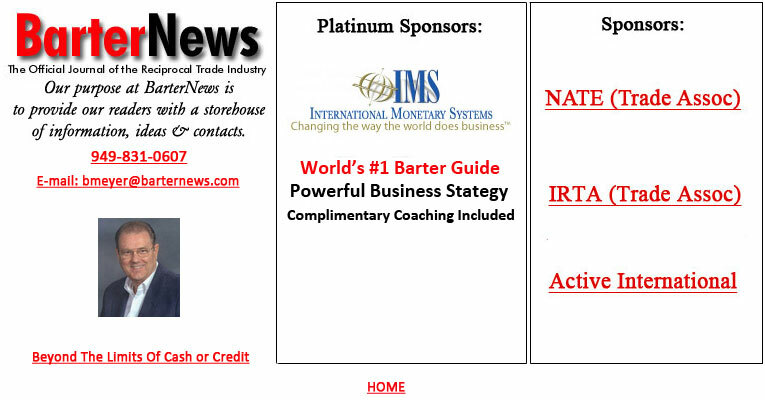 Don Mardak, CEO of International Monetary Systems (OTCBB:INML), is appearing weekly in live and taped interviews on �Steve Crowley�s American Scene� syndicated radio show. Two or three of these interviews usually run each week; several were broadcast live from the Money Show held in San Francisco this past August. Steve Crowley is the former financial expert from �Good Morning, America.� On his current show he often has guests such as Steve Forbes, Joe Battipaglia, Tobin Smith, and other financial gurus. There are three million listeners per day on broadcast radio through Business Talk Radio affiliates, plus a huge audience on the Internet worldwide. All programs are archived for two weeks at www.businesstalkradio.net...the business shows on the Talk Radio Network are offered on a barter basis. �American Scene Radio� is at www.moneychannel.tv/scas.php. IBM has unveiled a program that will give users of its System-2 main frames and System-P servers access to third-party certification. This certification can be used to get energy credits from either their state government or other trading partners. The program involves Neuwing Energy Ventures, a financial services firm involved in the emerging business of energy efficiency certification. Neuwing will take 25% of payment in barter, i.e., Energy Efficiency Certificates (EECs) as its compensation. More deals on hotels are coming as www.LateRooms.com is working with www.Kayak.com, wherein Kayak users will have access to real time rates and availabilities from LateRooms� inventory. LateRooms.com has a database offering 500,000 bargains across the U.K. and Europe. The company acts as a clearing house for unsold hotel rooms, and its range of accommodations is huge�over 15,000 properties from luxury 5-star hotels down to guesthouses, apartments, and B&Bs. Microsoft�s $240 million investment in the social-networking web site Facebook values Facebook at $15 billion, or 500 times its estimated 2007 earnings of $30 million. To put such an evaluation in perspective, if you used the same evaluation on General Electric, for example, GE would have a market cap of $11 trillion...which is just $3 trillion short of the annual U.S. gross domestic product. The American Express 2008 Global Business Travel Forecast says international business-class fares will jump 5% to 10%, and hotel rates 4% to 7% (5% to 8% on higher-end hotels). Three factors will create the rate increases - strong demand, tight capacity, and oil costs. India�s state-owned generation utility NTPC and Indonesian coal-miner PTBA are actively engaged in structuring a very large barter deal. The full significance is yet to be determined, but NTPC will take equity in the Indonesian firm�s coal acreage, in return for helping them set up a power plant in Indonesia. Carson City (NV) located in Douglas County, is intent on creating views and open spaces for its citizens. They will do so by securing rights on pasture lands, obtaining needed land in Douglas County by exchanging 1,722 acres the city currently owns. The countries of Vietnam and North Korea have agreed to broaden cooperative ties, including the potential establishment of trading or investment joint ventures (JV), and the facilitation of countertrade. In October 2007, a Netcraft.com web-server survey identified nearly 143 million web sites, adding up to untold billions of web pages. Australia-based Hays is the world�s seventh largest recruitment-consultancy with 120 branches in 38 locations throughout Australia, New Zealand, and South East Asia. They report the number of employers utilizing flexible staffing approaches (temporary or contract workers, part-time staff, casual staff and job sharing) has risen from 65% in 2004 to 80% in 2007. For more information go to www.hays.com.au. Russian gas monopoly OAO Gazprom has reached an agreement on settling Ukraine�s $2 billion debt for gas supplies. Ukraine is repaying the debt by transferring gas from underground storage facilities in Ukraine to Gazprom for further export. According to the IRS, 338,500 tax-deferred �1031 exchanges� took place in 2004, the most recent reporting period statistics. The use of these exchanges has surged as investors (primarily real estate) have searched for legitimate ways to postpone taxes on big gains. Like-kind exchanges in 2004 deferred more than $73.6 billion, which was double the previous reporting period. Spud Barrett Jr., founder of the Barrett Exchange National Marketing Session, has established the Teresa Barrett Memorial Scholarship Fund for worthy artists. 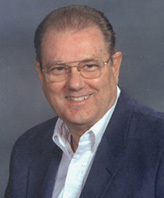 His wife Teresa was a professional artist and a member of the Florida Tropical Weavers Guild. At his next scheduled �Marketing Session,� scheduled November 12 - 13 in Las Vegas, Barrett has announced that any donation to the newly established fund will be accepted as one�s admission fee. For more information on this unique trading place that uses exchange auction boards, call Spud Barrett (813) 996-5411. The Black Socialites launched a barter (trade) exchange on October 10, 2007 for black professional women, as well as black business leaders and college students. For more information see www.richblackgirls.com. A new survey of global users by 4Hoteliers.com (www.4hoteliers.com), found that meta-search engine www.hotelscombined.com delivered the best results when it came to available hotels�its service far out-performs other travel search aggregators. An auction marketplace named www.AdBidCentral.com has recently been established to help advertisers and publishers buy & sell online ad space both in real time and in the future. AdBidCentral�s marketplace purports to be fully transparent. Its platform handles everything from booking to transacting and reporting in one central location. The ANA�s recent convention, held in Phoenix, saw attendance at the conference jump 25% this year...with 1,200 attendees at the annual meeting which focused on digital marketing to the consumer. It was sold out for the first time in the organization�s 97-year history. The California Association of Realtors closed their annual convention in mid-October with a sobering message: it�s time to reevaluate, given the dire condition of the real estate market. Reinforcing the angst in the state�s real estate picture was the projection by the trade group that 40% of the 500,000 licensed real estate agents in California will probably let their licenses lapse when they come up for renewal. Business Barter Exchange of Australia is offering interest free loans of up to 30% for BBX listed real estate. The company reports having over $60 million in listed properties on its books. Nearly half of U.S. hotels and resorts now boast spas, up from 25% five years ago, according to industry tracker Spa Finder. Nationwide, these spas generated $2 billion in 2005, up from $1.9 billion in 2003, as confirmed by the International Spa Association�s latest data. The entire U.S. spa industry, which includes independent and day spas, grossed $9.7 billion in 2005, up from $7 billion in 2003. The agreement is a �win-win� in that the St. Louis brewer now has access to a high-end natural spring water...enabling them to compete in the fast-growing $11 billion U.S. bottled-water market. Icelandic Glacial water is sourced from the Olfus Spring in southwestern Iceland and bottled nearby. Taking a cue from the Olympics where the bartering of products and services now approaches a billion-dollars per event, the City of Chicago�s Gay Games VII operated on a budget of $9 million cash and $13 million in barter...consisting of supplies, services, and marketing. In November, Google started a program to sell newspaper ads in 50 newspapers. Today they have 225 papers participating. Google takes bids online for advertising space in the newspapers and relays the offers to publishers, who can accept or reject them. Clear Channel Outdoor strengthened its global reach last year inking big deals in China, Japan and London, and beefing up its already large presence in the U.S., Italy and France. The Phoenix-based billboard titan went public in 2006, earning $2.9 billion in revenues. Wal-Mart will soon be introducing a prepaid money card. It will be launched with GE Money, a unit of General Electric, and branded a Visa card. The firm says that the card is aimed at customers who do not have access to a bank account. Not to mention ease of use or the profitability of using prepaid cards. The Washington Wine Commission is pulling in record sponsorship dollars for this year's "Taste Washington." Nineteen companies provided $162,000 to sponsor the 2-day event which reflects growing recognition of Washington State's 200 wineries. In short, no matter how talented an agency's creative team or how well the client's management likes the firm's executives, the agency is of limited value unless it embraces digital media. With the changing demographics (68 million aging baby-boomers) taking place in the U.S., the old indicators of economic health aren't as important as they once were. For decades we reliably counted on unemployment figures and the stock market...but soon they will be replaced in importance by health care and pensions. Carnival, the world's largest cruise line, is concerned that the softening housing market, along with high energy prices and interest rates, will hurt sales to low-income consumers and crimp sales of its shorter, cheaper trips to the Caribbean. This would also mean more inventory availabilities for trading purposes. "Thank you for all of your information. I have signed on two restaurants since I have started reading over the restaurant section on your site." According to the 2007 Management Action Programs Quarterly CEO Survey, conducted by Vantage Research, today's top CEOs say finding talented, quality hires is like searching for a needle in a haystack. Twenty percent of the executives report that "hiring talented employees" is their biggest business-development roadblock. That's a huge jump from the current requirement, which says individuals must have a net worth of at least $1 million, including the value of primary residences, or an annual income for individuals of $200,000 for the previous two years or $300,000 for couples. Over a decade ago, back in 1994 to be specific, Mexico was able to put together a huge $50 billion multilateral bailout package with the help of the U.S. to stabilize the sudden devaluation of the Mexican peso. It was Mexico's oil, however, which was the key ingredient making the package possible. Today in Venezuela, President Hugo Chavez is also using oil as a tool. But given the country's 10.3% economic growth, the situation is quite a bit different than was Mexico's. In this case the nation's oil is payment to compensate "Big Oil" companies, because Venezuela is nationalizing all outside oil interests. Oil is also being bartered for purchases of food products from various Caribbean nations. Soccer will be the first major team sports league in the U.S. to showcase ads where viewers can't miss them--on the fronts of players jerseys. No major American sports league permits prominent advertising on team jerseys, though the practice has long been accepted in Europe, Asia and Latin America. The J. Paul Getty Museum in Los Angeles has 15,000 photographs in its collection, having spent $20 million to build one of the best photography collections in the world. But today, even Getty's deep pockets aren't enough to get the works they want. To cope, the museum's photography curator Weston Naef is forming unusually close relationships with collectors. In exchange for advising them to purchase works he believes will become very valuable, he hopes that eventually the works will make their way into the Getty as loans or gifts. Dallas-based Pizza-Patron had a plan for attracting a new client base. It tried accepting pesos, as payment for orders, on a two-week trial basis...causing much uproar. The firm now says it is making its pesos policy permanent, as it focuses on serving an underserved market--the Latino customer. Chris Haddawy, Sr. VP for BizXchange, and a 18-year veteran in the commercial barter industry, authored the "Trading Up" article which appeared in the February issue of American Printer. Haddawy's focus was to show printers how they can cash in on barter by stressing the importance of calculating the cost of the printer's trade, as well as rules for successful bartering. For more information on Haddawy's company go to: www.bizx.com. The marketing manager of Harlequins, Chris Warren, affirmed, "We use Bartercard for a range of services--everything from marketing, design and printing, to buses to get the team to matches. And through Bartercard we've attracted some new sponsors." Well-respected expert Jim Grant of Grants Interest Rate Observer says as we enter what he calls the "recognition stage," the market is starting to wake up to the magnitude of the problem. In short, billions will be lost. The Business Roundtable's quarterly report, as well as Duke's Fuqua School of Business and CFO magazine's survey, all show that CEOs (chief executive officers) are more bullish on the economy than their chief financial officers (CFO). Many CFOs said CEOs were naturally optimistic and were even expected to be so. The CEO takes risks that help the company grow while the economy is buzzing, and the CFO keeps an eye on what may go wrong. Such a pairing might be a potent combination for today's environment, which sees an expanding economy loaded with uncertainties. "It's not the darkest before the dawn, it's the darkest before pitch black." Bill Gross, manager of the world's biggest bond fund, says the Federal Reserve will lower its benchmark interest rate a percentage point to 4.25 this year to avert a recession. Luxury Home Prices Declining In California...With Some Exceptions! Luxury home prices in California, the nation's most expensive real estate market, fell for the first time in two years as potential buyers hold out for lower prices. Yet, there is always an exception to the rule! Actors Courteney Cox Arquette of "Friends" fame and husband David Arquette, who stars in "In Case of Emergency" purchased the four-bedroom, 5,500-square-foot house with 80 feet of beach frontage six years ago for $10 million. It's now on the market for $33.5 million. A ranking by Insead, a business school based near Paris with campuses there and in Singapore, said the U.S. is by far the world's most innovative nation. Germany was a distant second. The United Arab Emirates, ranked 14th, was the only country in the top 15 that wasn't European, Asian or North American. Innovation is important because successful economies won't continue to rely on trying to wring more returns from today's goods, services and processes. A new study by McKinsey & Co. has been released which showed the value of the world's assets, through 2005, reached a new peak at $140 trillion. The figure was more than three times as large as the total output of goods and services produced globally that year. With an influx of Brazilians, Russians and Eastern-Europeans, pay has plummeted at the highest echelon of fashion--the runway shows that feature top designers in Paris, Milan and New York. Today it's a client's market with models accepting low salaries for the exposure, hoping it will lead to better paying jobs in the future. At New York's fashion week (in early February), most models will make zero to $1,000 to walk down the runway. In lieu of cash, many designers use in-kind trade...the models get to keep their outfits. Seinfeld, in effect, became the network's business partner, and NBC secured both its image and billions of dollars in profits over the years, by catering to the young, urban, upscale adults whom advertisers most covet. The public's opinion of Microsoft has reached new heights replacing Johnson & Johnson as the best rated company in the U.S., according to the Reputation Quotient survey conducted by market-research firm Harris Interactive. Respondents gave Microsoft very high marks for leadership and financial results. But it was Bill Gates' personal philanthropy that boosted the public's opinion of Microsoft, showing how social responsibility is becoming an even more critical component of corporate reputation. Australia's 20-year-old media laws are set to change later this year. The new rules will relax cross-ownership restrictions and scrap foreign-ownership limits. Consequently, international buyout groups and industry chiefs are already jostling for pieces of the action. At the World Economic Forum in Davos, Switzerland, McKinsey & Co. reported that in just eight years there will be 500 million people earning $5,000 a year in China. (Today's per-capita is $1,740.) That will mean a middle-class three times the size of America's. Trade volume (one side of the transaction) totaled $11,764,000 in 2006, versus $6,096,000 in 2005; gross revenue was up 80% totaling $1,112,000 in ‘06, versus $619,000 in ‘05. New client enrollments for December were 155 versus 87 for 2005, a 78% increase. H-P says a new chip architecture will allow this technology to leapfrog three generations ahead of the industry's current path. The company's new chip will be used in communications and consumer electronics products, and could be commercially viable by 2010. The intellectual property termed "field programmable nanowire interconnect" is likely to be bartered to other chipmakers, perhaps in exchange for the right to use other patents, according to Richard Doherty the research director at industry research firm The Envisioneering Group. Mortgage lender Network USA has stopped funding loans and is exploring "strategic alternatives" for its wholesale business lines. It's the latest sign of retrenchment as stress among subprime lenders increases. In California, as the sudden rise in bad loans continues, banks are contacting delinquent borrowers within days after a missed payment. Short sales--where a lender allows property to be sold for less than the amount due and often forgives the remaining debt--are increasing as well. At least 5,000 taxis will air NY10, New York's Taxi Entertainment Network, featuring exclusive content from WNBC, NBC News and NBC Entertainment. The affluent market has been growing steadily over the past several years according to research by Spectrem Group, a Chicago-based consulting firm. Affluent households, or those with a net worth of $500,000 or more, have grown from 9.1 million in 2002 to 14 million in 2005, according to the firm's recently published report. China and India, according to IBM Corp. Chairman/CEO Sam Palmisano, will be the epicenter of a massive economic and demographic shift. Trade Shows have bounced back even as the Internet continues to penetrate business markets, as there is an increasing demand among business executives for the sort of face-to-face dialogue that trade shows can provide. Down in Murfreesboro (TN), the longest-running continuous radio show on air is "Swap & Shop," a folksy 20 minutes of locals calling in to barter and sell items ranging from chickens to refrigerators. Station manager and owner Bart Walker says his operation is like a high-tech back fence, in that it's locally owned and you get to know the people. The station started in 1946 and has seen a variety of formats, but eventually settled on the talk format. The program is based on the barter system that originated in Ithaca (NY), where over 900 participants accept "Ithaca Hours," the local barter currency aimed at promoting local economic strength and community self-reliance. Such barter programs keep the currency "local," which will be an asset in Provincetown where people with various skills and resources have little to do in the winter. The U.S. Census Bureau's most recent data shows some mind-boggling changes taking place for African American entrepreneurs. Their numbers grew by 45%, to 1.2 million between 1997 and 2002...the most recent statistics available. That number compares with a 10% increase in the total number of businesses. The Kansas City Independent Service Contractor's Association will be the place where tile setters, deck builders, remodelers, painters, carpet cleaners, landscapers and other owner-operators of similar businesses can come together with like-minded contractors. Inexpensive advertising will be offered to members and distributors with half of the proceeds being placed into a common fund for the group's larger promotional events and ads. Editor's note: A symbiotic relationship between such an industry network and a healthy, reputable local trade exchange is a natural...everyone would benefit. While the concept of ad brokerage is nothing new to traditional print advertising, Google's focus on pure automation and acceleration of the process is. Many in the publishing business, however, see Google succeeding only in the moving of remnant space and classifieds. Print advertising is a "human" business...driven by passion, emotion, and gut feeling. Ads for a specific community-driven audience need to be a part of a conversation. It remains to be seen if they can be successfully concluded using only a mathematical algorithm. United Kingdom's Countertrade Deal With Saudi Arabia Is Astounding! Al Yamamah (The Dove) is the name given to the huge deal, which has never been fully clarified, but has been described as "the biggest United Kingdom sale of anything to anyone." Al Yamamah prime contractor BAE systems revealed in 2005 that they, along with predecessor British Aerospace, had earned £43 billion in twenty years from the contracts. BBX, listed on the Australian Stock Exchange, announced a record net profit after taxes of over $1 million in September 2006. The company is one of the world's largest trade exchanges and completed $146 million in trade transactions for the 2006 financial (fiscal) year. Additionally the company expanded into two new ventures, BBX Financial Advisors and BBX Money. Tim Creasy, CFO of BBX, noted, "Offering financial planing advice is just one more step in becoming a one-stop financial shop for our members." Creasy elaborated, "With BBX Money, first-time home buyers and property investors will have the opportunity to purchase real estate with up to a 30% deposit, interest free. This provides immediate equity, avoids high mortgage insurance, and can be repaid in either cash or by the sale of inventory on the BBX auction site."